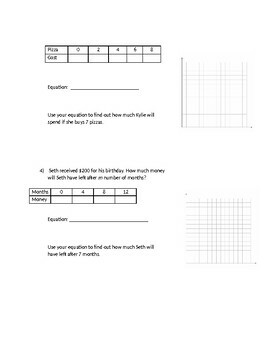 There are 4 practice problems. 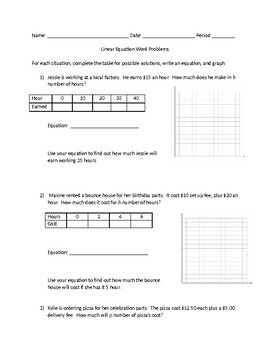 Students will have to complete a table, graph, and write a word problem. They will also have to use their equation to answer 1 question about the situation.